Pre-race: In the Under 13 race Miles Hollinshead (Giffnock North AAC), winner of Falkirk is also set to race in Senneleys Park. Gloucester’s Ben Coldray who finished ahead of Hollinshead in Birmingham last year could challenge him. Ben Coldray won the U13s race at the Reebok Cross Challenge race in Birmingham. Miles Hollinshead (Giffnock North AAC), winner in Falkirk, had to concede victory this time to Ben Coldray (Gloucester AC) who won by three seconds in 12:28. Third was Nathan Young (Mendip AC), fourth Sam Winters (Milton Keynes AC) and fifth Chad Lambert (Milton Keynes AC). Daniel Sutton (Royal Sutton Coldfield AC) out sprinted Kristian Bibby (Preston Harriers), who finished third in Falkirk, for sixth place. Pre-race: The Under 13 Boys race looks set to be a contest between Miles Hollinshead (Giffnock North AC) and Ben Coldray (Gloucester AC). Hollinshead, who currently leads the Under 13 Boys Series rankings, won at Falkirk and then finished runner-up to Coldray in the second race in Birmingham. Coldray also won the Junior Boys race at the BMC Cross Country Classic in Bristol last weekend. 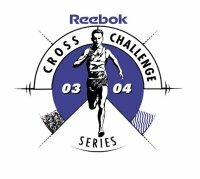 Ben Coldray was second in the U13s race at the Reebok Cross Challenge race at Parliament Hills, London. Nathan Young (Mendip), who combines cross country running with playing rugby surpassed his aim of finishing in the top 10 by winning the boys under 13 race beating Birmingham winner Ben Coldray (Gloucester) by three seconds. Pre-race: The top five in the Reebok Series standings compete in both the Under 13 Boys and Girls races. The Under 13 Boys age group is proving to be particularly competitive this year. Miles Hollinshead (Giffnock North AAC), leads the standings and won in Falkirk; Ben Coldray (Gloucester AC) won in Birmingham and Nathan Young (Mendip AC) took the honours in London. Ben Coldray won the U13s race at the Reebok Cross Challenge race in Liverpool. Ben Coldray made it a Gloucester Under 13 double with his victory over Nathan Young (Mendip AC). Young went into the lead making every effort to get away from Coldray who was a few metres behind. With 400m to go Young looked to be tiring and a confident Coldray worked hard to make up ground before producing a last sprint 50m from the line. He finished in 9:35 with Young two seconds behind in 9:38 and Miles Hollinshead (Giffnock North AAC) third in 9:49. Coldray said: “It was a tough race. It was a fast course. Nathan led all the way and I wanted to outsprint him”. Pre-race: Miles Hollinshead (Giffnock North AAC) and Ben Coldray (Gloucester AC), the top two in the Under 13 Boys’ standings will battle it out again in Belfast. Hollinshead won the Reebok race in Falkirk and Coldray won in Birmingham and Liverpool. 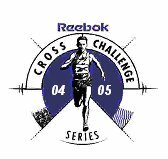 Ben won the the U13 boy's race at the Reebok Cross Challenge race in Belfast. A predictable winner came in the Under 13 race where Gloucester’s Ben Coldray recorded his third success of the Series, adding to wins at Birmingham and Liverpool. He took control early from Peterborough’s Ed Gunby.